There was a time in Singapore when fountains were used as decorative elements to beautify the town, landscapes and important places. This was way before the augmentation of revolutionized tourist attractions in Singapore. Though with time these fascinating sprinklers and faucets of water structures diminished in existence, few of these charming water fountains still exists in Singapore. Some of these fountains have borne the test of time and some are interpreted as iconic landmarks of Singapore. Here are few handpicked water fountains of Singapore for you to check out during your Singapore holiday. 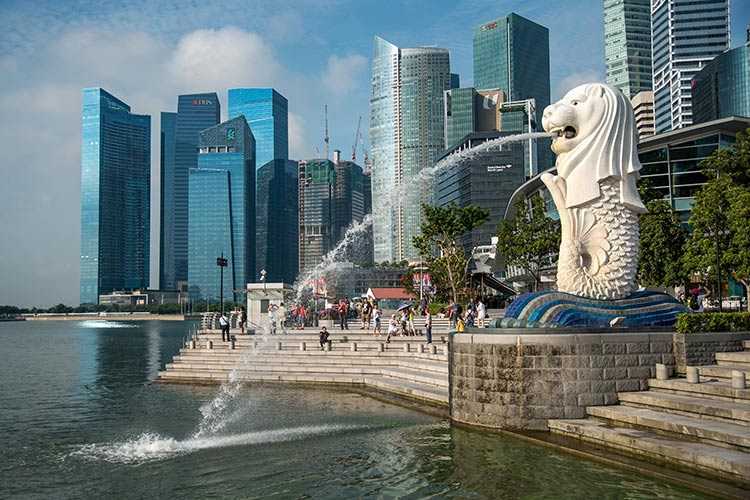 The first ever iconic landmark of Singapore before being overshadowed by the new models of modern infrastructures in Singapore, Merlion is still a popular Singapore point of interest not to be missed on a Singapore tour. The half fish, half lion giant off-white statue is actually a water fountain that dominates the scenery at the Merlion Park at One Fullerton. The mythical creature symbolizes prosperity and honors Singapore’s modest history of being a fishing village. It is also the prime reason for country converting its name to ‘Singapura’ from ‘Temasak’ – Singapore’s original name. Standing 8.6 meters tall, the Merlion was relocated to its current spot overlooking one of the famous Singapore attraction – Marina Bay Sands. It still attracts major crowds and is a famous photo stop for all Singapore visitors even in present times. There is also a smaller version of the Merlion which is just 2 meters tall known as the ‘Merlion cub’. 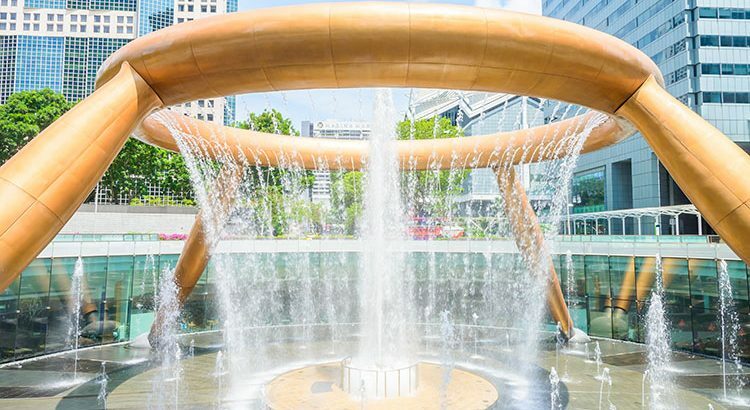 Recognised as the largest fountain in the world by Guinness Book of World Records, Fountain of Wealth is a sight hard to miss when you visit Suntec City Mall in Singapore. Built according to Taoist Feng Shui principles, this fountain symbolises wealth and prosperity. Made up of silicon bronze, the structure covers more than 1600 square meters of area and consists of a giant circular ring supported by four angled poles. Spurts of water jets cascade inwards from the circular ring from a height of 13 meters into the centre of the structure signifying wealth in Chinese culture. There is also a small fountain at the centre of the circular structure which shoots up water and is the main highlight during evening sound and light fountain show. It is also believed by the locals that if you walk around the central fountain three times, you will gain good luck. Erected in the fond memory of renowned Singaporean philanthropist Tan Kim Seng by the British Colonial Government, this stunning fountain is an eminent national monument of Singapore. Originally built at Fullerton Square, the fountain’s creation is influenced by Victorian architecture and Greek elements and had undergone rigorous redevelopments since its formation. This blue-white hued iron structure has three tiers adorned with classic Greek figurines. It was finally relocated to its new location in 1925 to Esplanade Park where it stands alongside other Singapore tourist attractions such as Lim Bo Seng Memorial and Cenotaph. 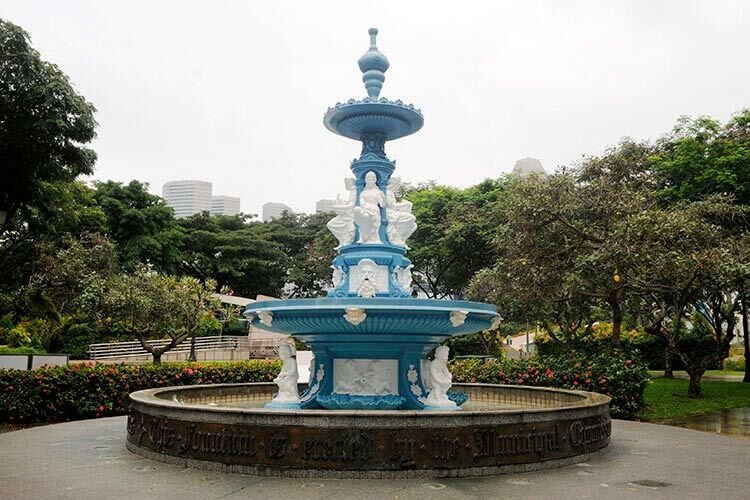 Built way back in 1864, Gemmil Fountain was Singapore’s first drinking fountain opened to the public by John Gemmil – A British banker and auctioneer living in Singapore. Made out of marble, this water fountain doesn’t have any elaborate design or giant water spurts. It consists of a simple marble slab with a lion’s face carved into it; its mouth spouting a stream of water to quench the thirsty locals. 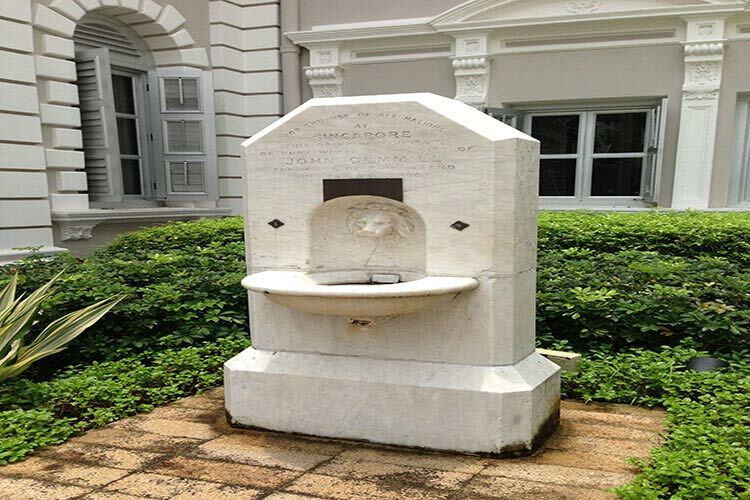 There is an inscription on the slab “For the use of all nations, at Singapore, this drinking fountain of pure water is the gift of John Gemmill formerly of this island and now of London 1864”. The fountain presently stands in the grounds of National Museum of Singapore and is still functional. If you are staying at the eminent Raffles Hotel in Singapore, you might have noticed an iron cast fountain at the Palm garden. 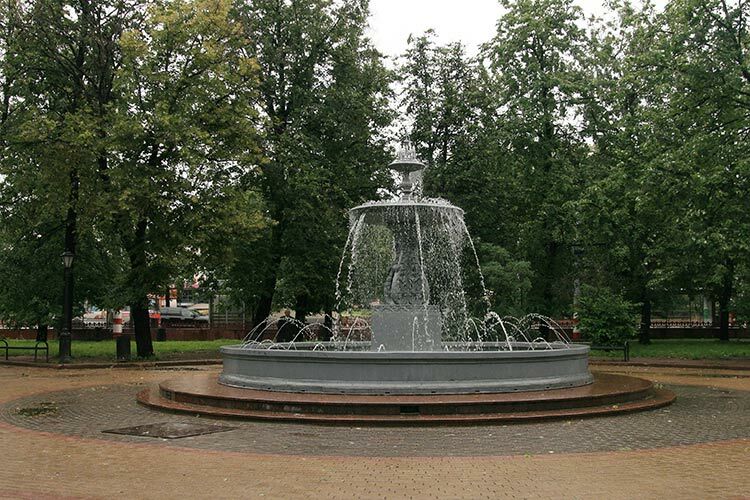 This elegant fountain dates way back to the 19th century and was originally constructed in Glasgow. This 6-meter high fountain is an elegant masterpiece and a remnant of historic relics in Singapore. 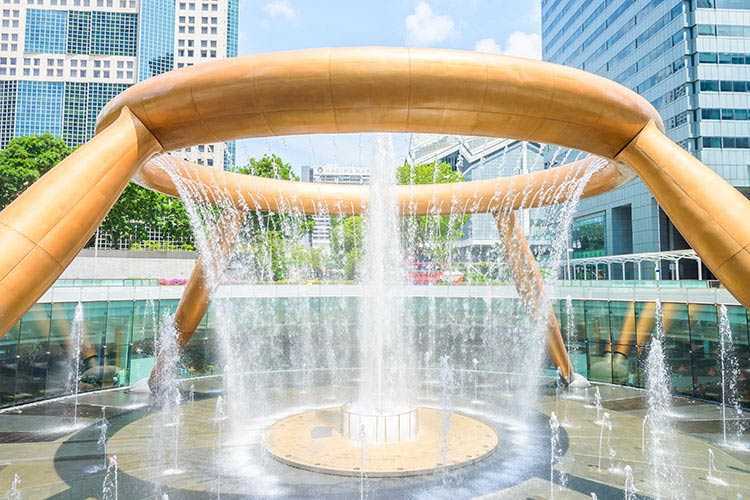 The fountain was earlier set up in Lau Pa Sat and Orchard Road Market before permanently shifting it to enhance the lawns of a hotel already steeped in rich history. Today the lawns of Palm Gardens at Raffles Hotel are used for conference and meeting purposes as its subdued ambiance with the impressive fountain offers the perfect setting for such events. 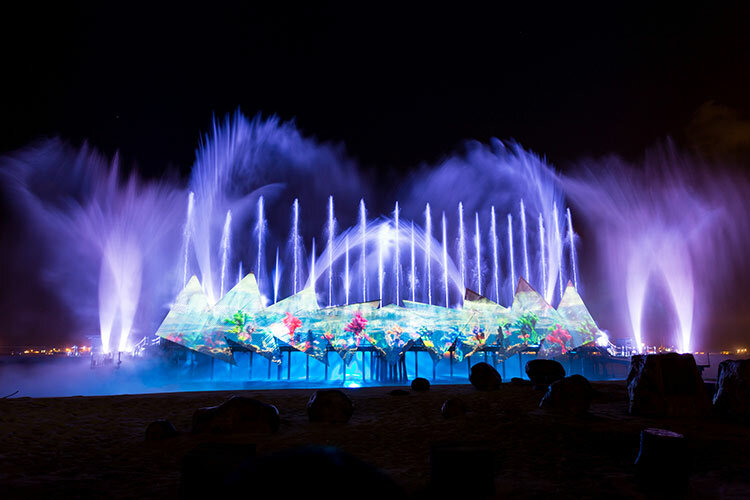 Not exactly a water fountain, but Spectra is a marvellous water show in present-day Singapore that has acclaimed fame for its sheer state of the art innovation and entertainment. This attraction demonstrates how Singapore has entered into the league of new age entertainment from simple beginnings. Marina Bay Sands promenade is one of the top places to go in Singapore for leisure time. The enchanting and dazzling sound and light water show is set at the Event Plaza at Marina Bay Sands promenade have become one of the top things to see in Singapore. Synchronizing water jets and laser lighting with beautiful symphonies, Spectra is an intense display of brilliant colours and visuals. Each show lasts for 15 minutes and the public can catch this amazing spectacle for free. Spectra show timings are 8 pm and 9 pm every Sundays to Thursdays and 8 pm, 9 pm and 10 pm on Fridays and Saturdays. Singapore was a destination speckled with charming water fountains, but with its modernisation, these landmarks had to give way for new-fangled constructions. However, these handful remaining fountains in the country tell a story of its times. The addition of Spectra speaks of how Singapore has remodelled over the years. While Singapore is known for its fast-paced modernisation, these places of interests are a beautiful way to pause for a while and just enjoy the moment. Another way for some laid-back time on your Singapore trip is to take a deviation to spa resorts in Singapore which will indeed let you stop and refresh for your exciting times ahead in Singapore.